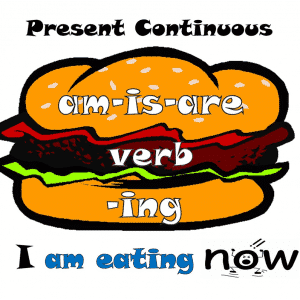 A.Use correct personal pronouns. See the words in brackets. 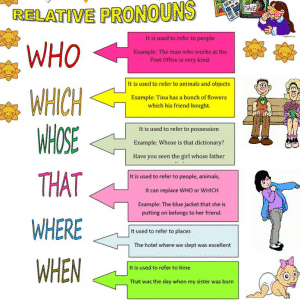 B.Change the underlined words into a correct object pronoun! C.Fill the blanks with who, whom, which or whose ! 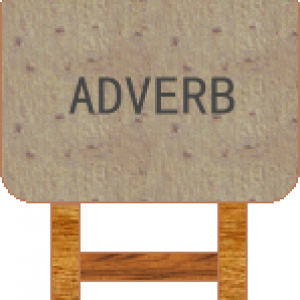 D.Fill the blanks with the correct possessive adjective! E.Fill the blanks with the correct possessive adjective! Answer: She often reads books. 10) ___Have got a computer, Mandy? 1) I talked to the girl ….. car had broken down in front of the shop. 2) Mr Richards,….. is a taxi driver, lives on the corner. 3) John is calling the girl ….. I met last night. 4) This is the girl ….. comes from Spain. 5) That’s Peter, the boy ….. has just arrived at the airport. 6) Thank you very much for your e-mail ….. was very interesting. 7) The man, ….. father is a professor, forgot his umbrella. 8) The children, ….. Mr. John met in the street, are not from our school. 9) The car, ….. driver is a young man, is from Ireland. 10) What did you do with the money your mother ….. lent you? 1.Joanie is (John and Nancy) ______ daughter. 2.Is this Jane’s dog? Yes it is ______ dog. 3.The dog is chasing ______ own tail. 4.Pedro and Isabel are Spanish. ______ family is from Spain. 5.Juan is not at school. ______ father took him to the doctor. 6.Beatriz is married. She showed us ______ ring today. 7.Jose and Maria are dancers. ______ older brother is a singer. 8.Pepe and I have an English class together. ______ teacher is Ms. Smith. 9.My family has a dog. ______ dog’s name is Lady. 10The teacher told me not to bring ______ cell phone to school. 2.Siska’s mobile needs to be fixed, but is working. 3.Her computer is a Mac, but….. is a PC. 5.My pencil is broken. Can I borrow …..? 6.I have a dog. That dog is …..
7.She has a cat. That cat is …..
8.We have a car. That car is …. 9.They have a bike. That bike is …..
10.He has a key. That key is …..